The neighbours are invited & the party plans made.. now is a good time to start to thinking about the slightly (*ehem*) unpredictable weather in Ireland. We’re all about being optimistic but when it comes to Irish weather, we need to be realistic. Think about your options in advance; have a plan B. Where is there a shelter close by? Could you use the community hall if it came down to it? 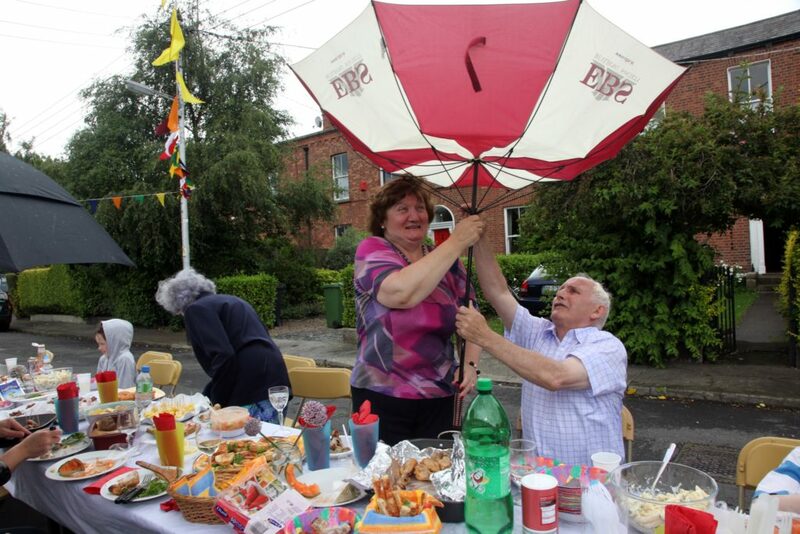 Gazebos are a brilliant way of protecting your picnic from the rain. Someone’s sure to have one lying around.. or perhaps it’s time to invest in one as a community..